Courtesy of Chilli’s InstagramFollowing the release of their latest compilation album, 20, TLC is now focusing on recording all-new material for their forthcoming album, due out next year. In an interview with V magazine, Rozonda “Chilli” Thomas spilled on the status of the project as well as how it feels to be back in the studio with Tionne “T-Boz” Watkins. “I’m telling you, it’s a blessing even being in the studio recording. I can’t wait till you hear some of these songs! It’s TLC 2015! It’s TLC today and tomorrow!” says Chilli, who revealed the disc will include their signature sound and dance moves mixed with more futuristic sounds. She also explains how the songs will sound without their late band mate, Lisa “Left Eye” Lopes, who passed away in 2002. “It’s definitely just a different period, because she’s not here physically. But even when she was alive we had a lot of songs that did not have her on there. So with Tionne’s voice and my voice it still sounds like our stuff. But we’ll have a few features, because we’ve never had features before,” she says and hints at possible contributions from Drake, T.I., 2 Chainz and Lady Gaga. 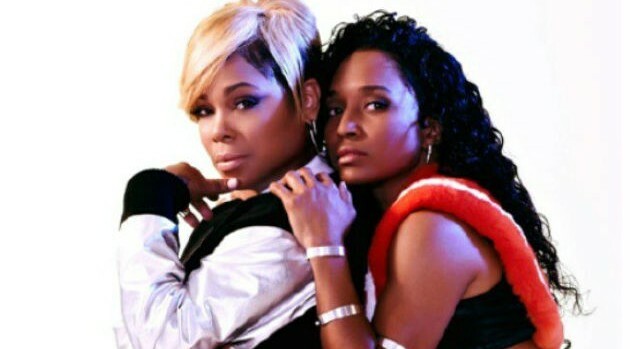 The upcoming album, TLC’s first all-new studio effort since 2002’s 3D, is due sometime next year.